Auburn University is located in Auburn, AL, a small university city located in eastern Alabama, about 50 miles east of Montgomery. As of 2014, Auburn University is one of the largest universities in the south, and one of the few to be designated as a land, sea and space grant university. Auburn University was founded in 1856 and was known as the East Alabama Male College. It was established just 20 years after the founding of the city of Auburn. It became the South's first land grant school in 1872, under the Morrill Act. The school went through several name changes, and in 1960 it became Auburn University. 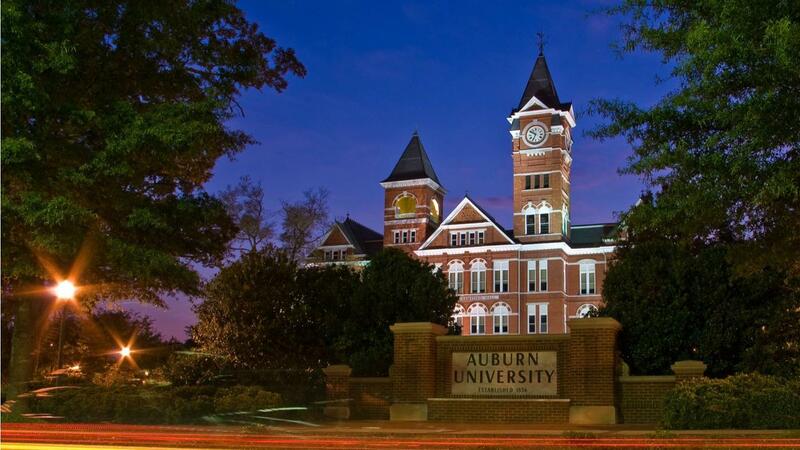 As of 2014, Auburn University offers 140 different degree programs. The programs range across 13 different undergraduate, professional and graduate level schools and colleges. When Was Temple University Established? Where Is Temple University Located? What Museum Has a Picture Gallery of Rosa Parks? What Are the Most Popular Cities in Alabama?